New York’s Saratoga Coffee Traders gets it. That’s why owner Mike Brown created the brand Death Wish Coffee, specifically designed to be the world strongest cup of coffee – from the beans selected to what the company calls its “unique roasting process” – all hopefully without sacrificing flavor. Death Wish claims that, if brewed properly, every cup “should have twice the amount of caffeine and loads more flavor than your typical store bought coffee.” More good news: Despite the name, it’s practically impossible to die from drinking too much coffee, so you don’t need an actual death wish to give it a try. If you happen to be more into the “death wish” part of things than the “coffee” part, might I suggest buying yourself some caffeine powder. As Eater points out, though Death Wish coffee has been out for a couple years, no one has yet come forth to steal its “strongest cup of coffee” throne, so if you’re looking for a novelty gift this year, Death Wish Coffee, which retails for about $20 for a one pound bag, is sure to make for good conversation fodder in this year’s office Secret Santa. 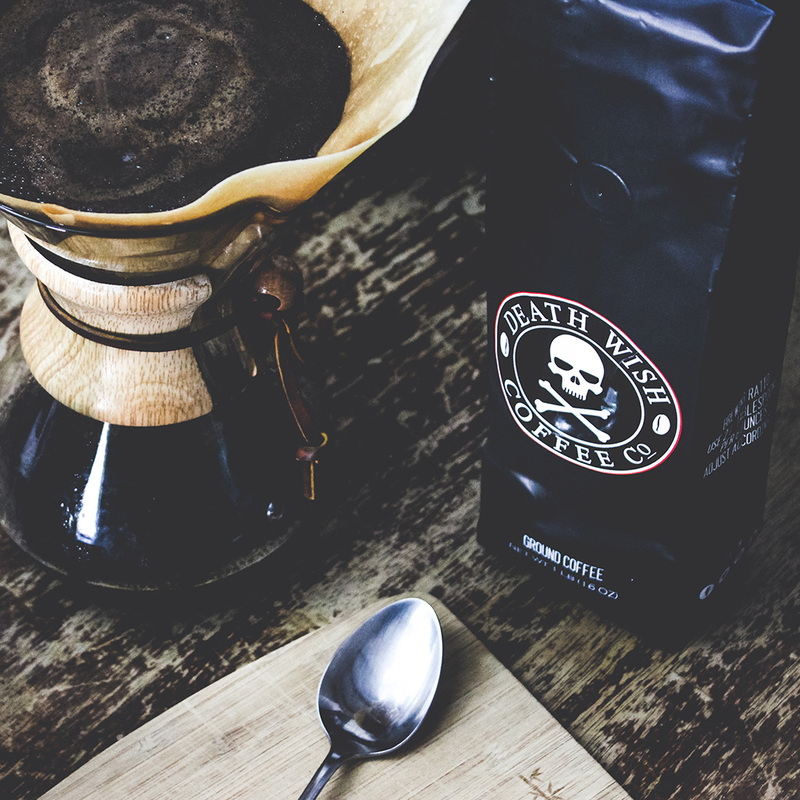 Though depending on how sensitive your coworkers are, giving out a bag of Death Wish Coffee might earn you a talk with HR. Related: The 50 Most Caffeinated Colleges in the U.S.